The Village of Ashwaubenon is a beautiful and growing area, home of the Green Bay Packers, located in the heart of Green Bay, WI. The area has the largest visitor and tourist attraction traffic in the entire city, from parks and festivities, to Packer football, shopping and retailers, and the population of residents that gravitate to the area. The U.S. military bought most of the west side of Green Bay, Wisconsin from the Sioux in the 1850s and 1860s, except the area that would later become Ashwaubenon. That land belonged to two daughters of Chief Ashwaubamy, a Sioux chief. They began selling their land to local farmers and landowners in the late 19th century. 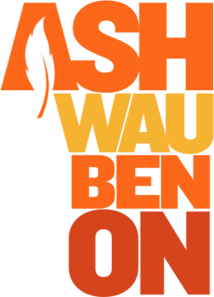 The Ashwaubenon School District comprises one pre-K/kindergarten school, Cormier School; two elementary schools, Valley View and Pioneer; one middle school, Parkview; and one high school, Ashwaubenon High School (AHS). AHS offers Advanced Placement(AP) classes such as history, art history, statistics, chemistry, and U.S. government. It also offers two English courses through the nearby St. Norbert College. The AHS marching band performed at the 2001 Rose Bowl Parade,the St. Patrick's Day Parade in New York, and in Hawaii in 2005 and 2009.The choir has performed in Disney World, New Orleans, and New York City. The AHS football team won the state championship in 1996, 2000, 2001, and 2005. The AHS softball team has made more appearances in the state tournament than any other Wisconsin school, with sixteen trips to the state championship game. Ashwaubenon High School is the only school in the state to win three state championships in one year. In the 2005-2006 school year the football, girls' basketball, and softball teams all won the Wisconsin state title. The village is on the border of Lambeau Field, the home stadium of the Green Bay Packers football team. The team's outdoor practice fields and the Don Hutson Center are all in Ashwaubenon. A mall, Bay Park Square serves the Green Bay metro area. In 2019 the Green Bay Bullfrogs baseball team will be renamed and move to the new Capital Credit Union Park being built in Ashwaubenon. Ashwaubomay Park features Ashwaubomay lake- a man-made lake complete with a diving platform. The park also hosts sports such as baseball and soccer.